Allison Sargent from Allison Sargent Events reached out to us regarding her client, who was in need of an exclusive and premier venue for the Western Institutional Review Board Inc.’s 50th Chairman’s Board Dinner. Harvard Art Museums instantly came to her mind. She knew that our dedication to excellence aligned with her vision for the client. 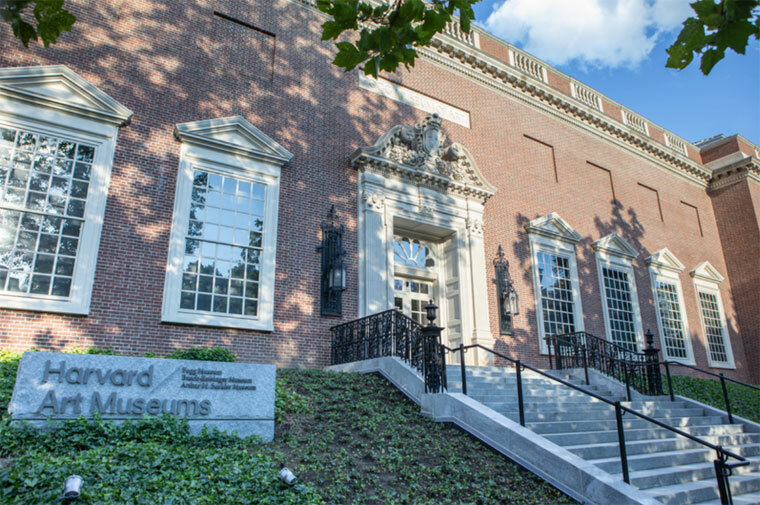 Our team arranged for 85 guests to enjoy a celebratory cocktail reception, seated dinner, discussion and galleries at one of the Boston area’s most well-known historic gems, Harvard Art Museums. The museums’ Calderwood Courtyard, with its four levels of breathtaking architecture, served as a unique, sophisticated setting for this private event and milestone celebration. Allison Sargent Events entrusted our culinary team to craft a gourmet menu that showcased our finest seasonal highlights. The teams working together also suggested the quintessential pairing of vendors—Party Rentals Ltd., Lea St. Germain Photography and Winston Flowers. Guests were attendees of the 2018 DIA Annual Global Meeting taking place at the Boston Convention Center. On the evening of June 25, they traveled via shuttle bus to Harvard Art Museums. It was a great treat for everyone to see Boston and the world-renowned neighborhood of Cambridge, home of Harvard University. Staff greeted guests with Whiskey Peach Smashes and Prosecco, the perfect drinks for a summer day. As they entered the Calderwood Courtyard, guests took in the incredible galleries, a spectacular glass ceiling and natural light. 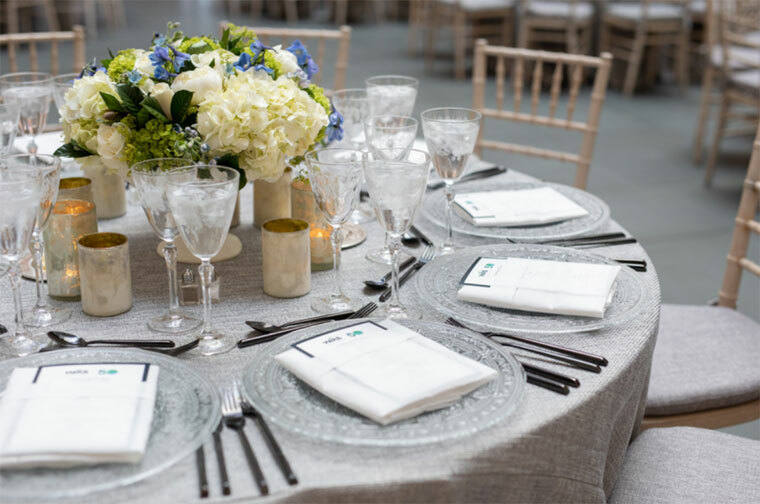 The tables were dressed in light shades of gray and blue, chartreuse and summery, white tones. After some light-hearted mingling, cocktails and passed bites, guests were invited to take their seats for dinner and the featured program. Before heading back to the convention center, guests indulged in a heavenly trio of shortcakes—blueberry, strawberry and peach. 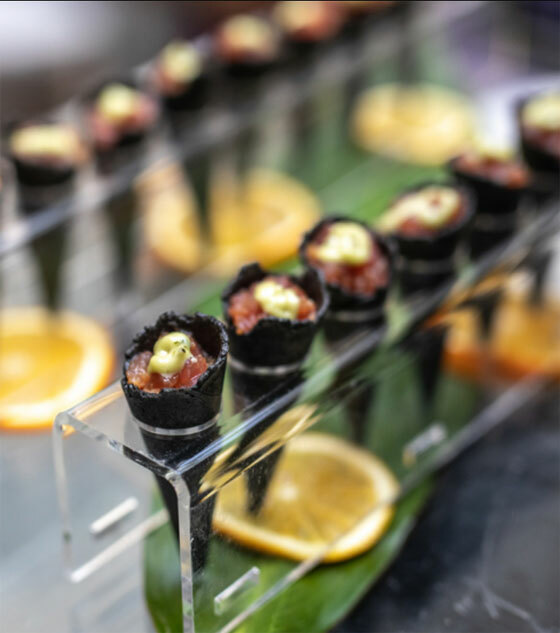 This event marked another outstanding year for WIRB and another incredible event for Allison Sargent Events, Harvard Art Museums and The Catered Affair. 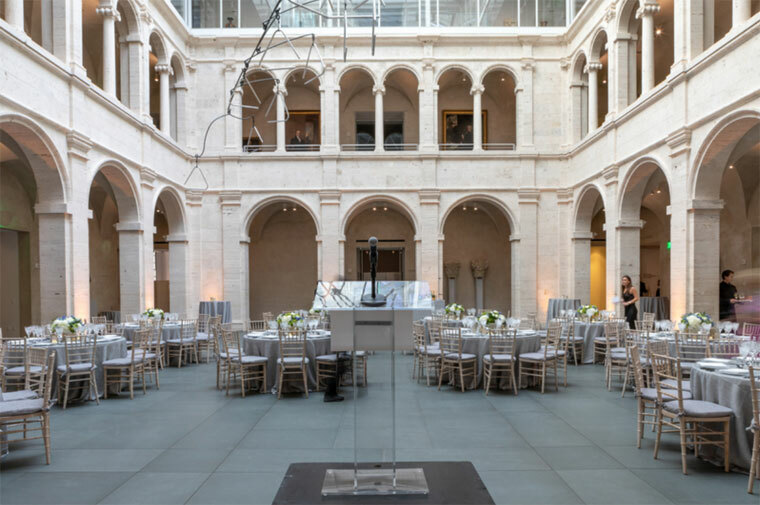 Harvard Art Museums will make the perfect backdrop for your next corporate event. Let us help you plan! Contact us or call 781.763.1333.